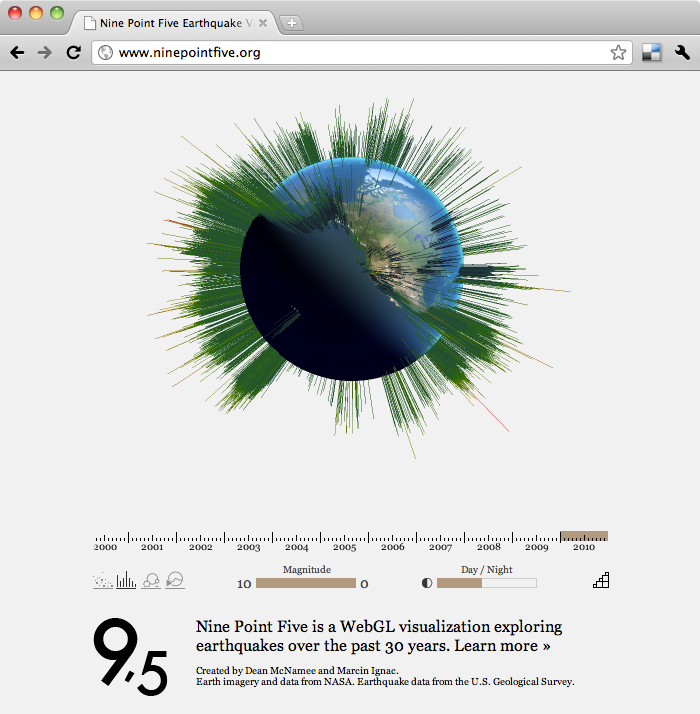 Nine Point Five is an interactive visualization of earthquakes over the past 30 years. 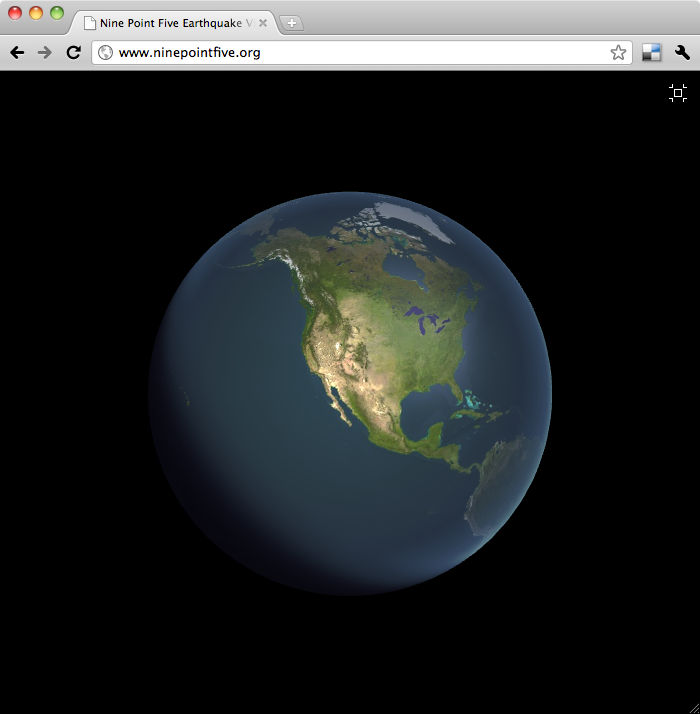 It uses the newly developed WebGL technology to create an fluid and interactive in-browser experience, presenting the events over an interactive Earth. 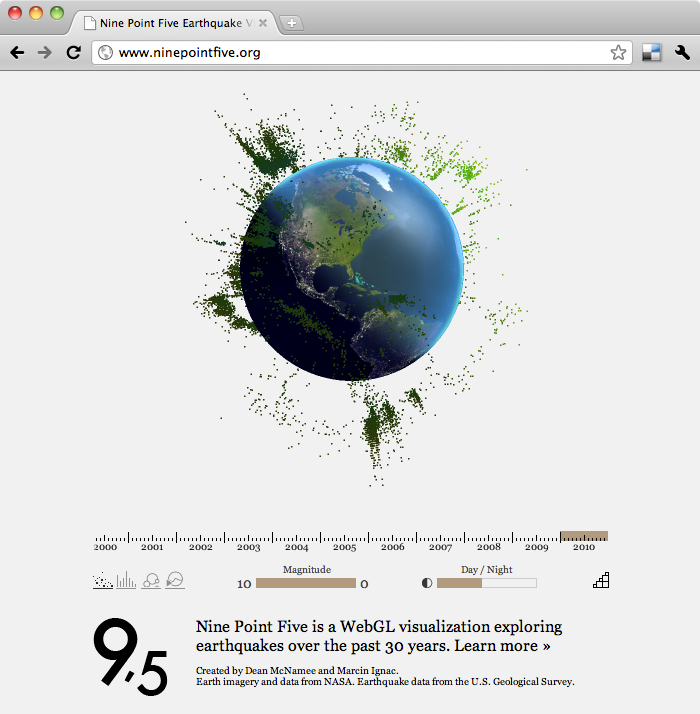 Created by Dean McNamee and Marcin Ignac.